Do you have a sneaking suspicion that the fiberglass insulation in your Cleveland home or office is falling apart and not doing its job? Do you find bits of pink fluff everywhere? 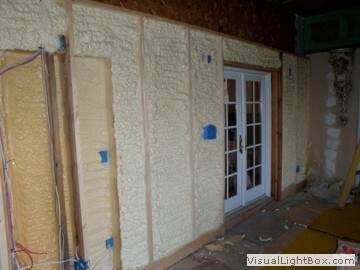 It might be time to ditch your tired old fiberglass insulation and replace it with something that will last. Spray foam insulation is not only more resilient than other kinds of barriers, but it comes with numerous other benefits as well. If you’re concerned about the condition of your Cleveland home or building due to poor insulation, then spray foam can help solve your problems. Cleveland spray foam insulation is liquid polyurethane that dries into a tough foam consistency over a surface. Because it’s liquid, it can fill in tiny cracks and holes that fiberglass can’t protect. The thick, tightly sealed layer it creates is far more energy efficient than any other kind of material. It controls the indoor climate by keeping in more heat and cool air, depending on the weather. This will save you tons of money on electric bills, and be more comfortable for the occupants. There are many different solutions available to homeowners when it comes to providing adequate insulation, but one of those that you might have overlooked is closed cell foam insulation. This is a method of spray foam insulation that is popular in both commercial and residential application and provides a strong barrier against heat and cooling loss that simply cannot be beat. This strong polyurethane material will even help to increase the structural integrity of your home. If you are looking for a green way to improve your new home, you should consider having cellulose insulation installation. This type of green, recycled, and environmentally safe material is one that provides exceptional protection against energy loss, while offering a way to keep your carbon footprint low. Keep the environment in mind, and make a decision that will have a low impact upon it by having new cellulose insulation installed today! Removing old insulation is something that you should never try and undertake on your own as this can present a very serious danger to your health. There is a variety of health risks associated with insulation and this is work best left to professionals with the proper training and equipment to handle the task. 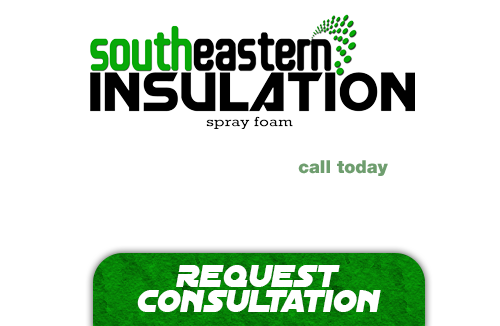 There’s more to just ripping the insulation out of your home, you also have to be able to dispose of it properly, which is where the expert team at SouthEastern Insulation comes into play. If you’re looking for a professional Cleveland Spray Foam Contractor, then give us a call today at 678-561-FOAM or complete our request estimate form.